While many of us have watched lengthy demonstrations of 3D for over a year now, few of us have tested it our own living rooms. That may soon change with Samsung, Onkyo, Panasonic, Xpand and others pushing products. One Best Buy store in New York is now selling Panasonic sets. But 3D programming is, well, scant. Consumers may also balk at the upfront cost of 3D: It means a new television, new Blu-ray player, and expensive goggles to get the full effect. Eventually, 3D may become commonplace as people replace their Blu-ray players and upgrade their televisions. But for now, it remains mainly a New York show. 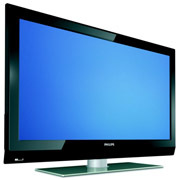 This entry was posted in Uncategorized and tagged 3d television, 3d tv, panasonic, pc world, quain, samsung, xpand. Bookmark the permalink.